Former Vice President Joe Biden and his foundation will use their resources to "highlight the harms” family rejection causes LGBTQ youth. The Biden Foundation on Tuesday announced the launch of “As You Are,” a campaign to raise awareness of the importance of family acceptance in the lives of LGBTQ young people. “We’ll use our resources to highlight the harms of family rejection — and lift up research, best practices and personal stories to powerfully show the significant value of family acceptance," former Vice President Joe Biden said in a statement provided to NBC News. The campaign is collecting personal stories from LGBTQ youth, parents, siblings, educators, social service providers and others to help educate the public about the importance of accepting lesbian, gay, bisexual, transgender and queer youth. The project’s goal, according to a statement announcing the launch of the campaign, is "to inspire, to create communities, to heal families, and to change the broader culture to ensure a bright future for all LGBTQ young people." 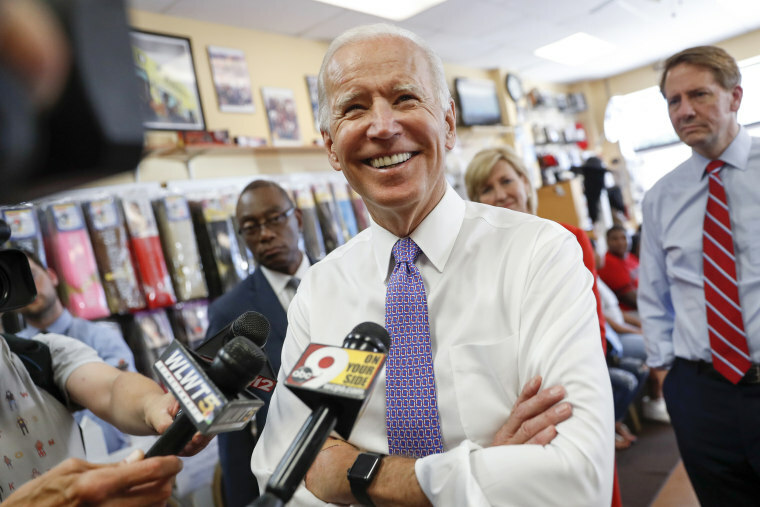 Several members of the Biden Foundation’s LGBTQ Advisory Council, which is comprised of high-profile LGBTQ advocates, applauded the new campaign. Amit Paley, CEO and executive director of The Trevor Project, a nonprofit that helps LGBTQ youth in crisis, stressed that "family acceptance can save lives. A recent study out of the University of Chicago also found LGBTQ youth are more than twice as likely as their straight peers to experience homelessness. The most cited reason for this disproportionate rate of youth homelessness, according to the study, is familial rejection due to the young person’s sexual orientation or gender identity. “I am absolutely comfortable with the fact that men marrying men, women marrying women, and heterosexual men and women marrying one another are entitled to the same exact rights, all the civil rights, all the civil liberties,” Biden said, while noting the president, not he, “sets the policy” on such matters. Obama followed suit and declared his support for gay marriage just three days later in an interview with ABC News’ Robin Roberts.